-- Select a Size -- X-Small Small Medium Large - Out of Stock! 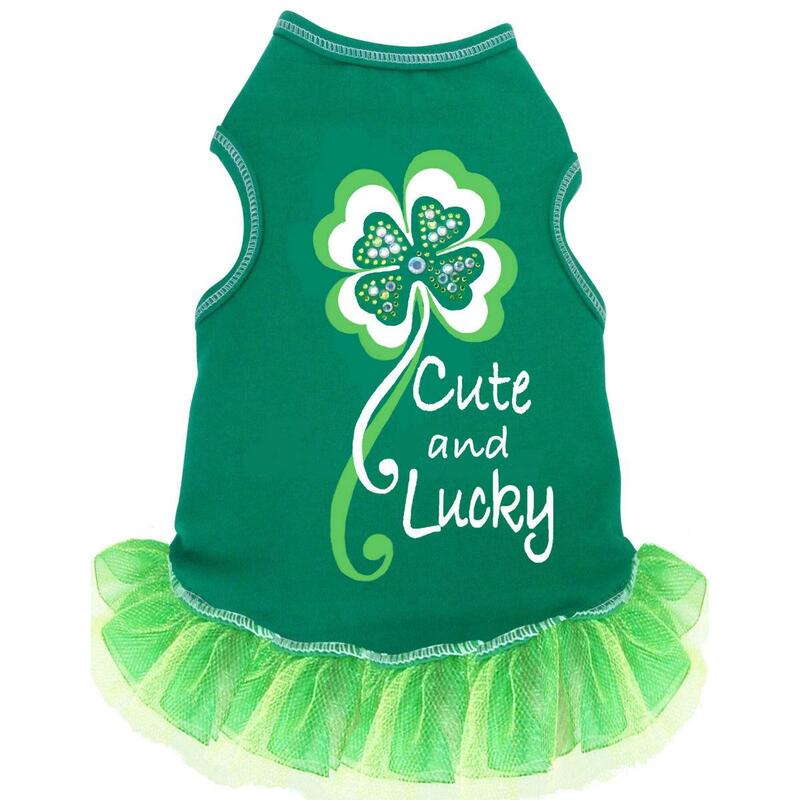 Show off your pups sweetness in this Cute and Lucky Tank Dog Dress! Shamrock and saying on back. Green with light green tulle skirt. 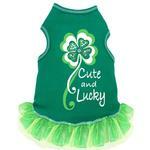 The Cute and Lucky Tank Dog Dress will catch the attention of a good dog looking for a sweet girl. Made of cotton lycra jersey with a delicate tulle skirt at the bottom. Made in the U.S.A. Machine washable. Great for your little lass this St. Patricks Days! I have a hard time finding items to fit my deep chested, thick neck, but lean muscular bodied boxer bulldog, but this item fit perfectly. Glad I measured her before ordering! Wish there were more hoodie types that work with her measurements. Will keep looking.